TIP: To quickly find employee punch cards, type your time card form number in the Search Box (upper right corner) and click GO! 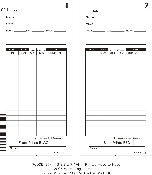 A11P000-099 Time Cards - (box of 2000) for Amano MJR-7000, MJR-8000, and MR Series top feed calculating Time Clocks. Weekly, Bi-Weekly, Semi-Monthly or Monthly pay period. 3 1/4" x 7 3/8", 2 Sides Green Ink (front) and Red Ink (back). Numbered 000-099 (AMA-099000) A11P000-179 Time Cards - (box of 1908) for Amano MJR-8000 and MR Series top feed calculating Time Clocks. Weekly, Bi-Weekly, Semi-Monthly or Monthly pay period. 3 1/4" x 7 3/8", 2 Sides Green Ink (front) and Red Ink (back). Numbered 000-179 (AMA-179000). A11P000-199 Time Cards - (box of 2000) for Amano MJR-8000 and MR Series top feed calculating Time Clocks. Weekly, Bi-Weekly, Semi-Monthly or Monthly pay period. 3 1/4" x 7 3/8", 2 Sides Green Ink (front) and Red Ink (back). Numbered 000-199 (AMA-199000). A11P000-249 Time Cards - (box of 2000) for Amano MJR-8000 and MR Series top feed calculating Time Clocks. Weekly, Bi-Weekly, Semi-Monthly or Monthly pay period. 3 1/4" x 7 3/8", 2 Sides Green Ink (front) and Red Ink (back). Numbered 000-249 (AMA-249000). 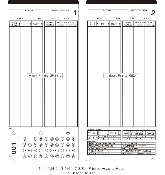 A11P100-199 Time Cards - (box of 2000) for Amano MJR-7000, MJR-8000, and MR Series top feed calculating Time Clocks. Weekly, Bi-Weekly, Semi-Monthly or Monthly pay period. 3 1/4" x 7 3/8", 2 Sides Green Ink (front) and Red Ink (back). Numbered 100-199 (AMA-199100). A11P300-549B Time Cards - Blue (box of 2000) for Amano MJR-8000 and MR Series top feed calculating Time Clocks. Weekly, Bi-Weekly, Semi-Monthly or Monthly pay period. 3 1/4" x 7 3/8", 2 Sides Green Ink (front) and Red Ink (back). Numbered 300-549. Lathem E7-100 Time Cards Universal (Payroll/Job) (100 per box) for 7000E and 7500 Series top feed calculating Time Clocks. Lathem E7-1M Time Cards Universal (Payroll/Job) (1000 per box) for 7000E and 7500E Series top feed calculating Time Clocks. Weekly, Bi-Weekly, Semi-Monthly or Monthly pay period. 3 3/8" x 7 1/4", 2 Sides Black Ink (front) and Red Ink (back). Numbered 001-100. Lathem Time Cards (E79-100) Universal (Payroll/Job) (100 per box) for 7000E and 7500E Series top feed calculating Time Clocks. Weekly, Bi-Weekly, Semi-Monthly or Monthly pay period. 3 3/8" x 9", 2 Sides Black Ink (front) and Red Ink (back). Numbered 001-100. Lathem Time Cards (E79-1M) Universal (Payroll/Job) (1000 per box) for 7000E and 7500E Series top feed calculating Time Clocks. Weekly, Bi-Weekly, Semi-Monthly or Monthly pay period. 3 3/8" x 9", 2 Sides Black Ink (front) and Red Ink (back). Numbered 001-100. N11P 000-249 Time Cards (2000 per box) for Amano MJR Series Time Clocks. 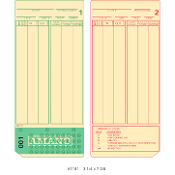 AMA-099000 Time Cards - (box of 2000) for Amano MJR-7000, MJR-8000, and MR Series top feed calculating Time Clocks. Weekly, Bi-Weekly, Semi-Monthly or Monthly pay period. 3 1/4" x 7 3/8", 2 Sides Green Ink (front) and Red Ink (back). Numbered 000-099.